Ronnie O’Sullivan triumphed in one of snooker’s all-time classics, beating Judd Trump 10-9 in the final of the Coral UK Championship. A wonderful match between arguably the sport’s two most exciting talents saw Trump come from 9-4 down to 9-9 with a series of rapid breaks. But it was O’Sullivan who grasped his chance in the deciding frame to win the UK title for the fifth time. A capacity crowd of over 1,000 at the York Barbican were left gasping as snooker once again showcased its capacity to provide great drama. A contest which included three centuries and nine more breaks over 50, with an average frame time of just 15 minutes, was finally settled when O’Sullivan laid a clever snooker in the 19th frame, and held his nerve with a break of 51 to take the £150,000 top prize. O’Sullivan has now won 15 Triple Crown events – his five UK crowns matching his five World Championships and five Masters – just three behind Stephen Hendry’s record of 18. And his haul of ranking events moves to 27, just one behind Steve Davis though still nine adrift of Hendry. He is up to third in the world rankings, behind Ding Junhui and Neil Robertson. Remarkably, the Rocket first won the UK crown 21 years ago at the age of just 17, the youngest player ever to land a ranking title. He went on to win it in 1997, 2001 and 2007. Few competitors in any sport have been prolific winners over such a long period. Ten days ago, he travelled from Chigwell to York uncertain whether he would even be able to compete in the tournament, having injured his left ankle while running. With the help of Sheffield United’s physio team, the injury healed quickly and O’Sullivan – literally – got into his stride as the tournament progressed. He made a magical 147 maximum break en route to the final – earning a £44,000 bonus – and ended up clutching the trophy. It has been quite a year for O’Sullivan, bookended by fabulous displays at the Dafabet Masters in January and here in York in December. In between he has also captured the BetVictor Welsh Open and Dafabet Champion of Champions (beating Trump 10-7 in another excellent final). His defeat at the hands of Mark Selby at the World Championship in May was his only blemish, and that’s a title the 39-year-old will be determined to recapture next Spring. Bristol’s 25-year-old Trump – who goes home with £70,000 – has found consistency in his game this season and only O’Sullivan has been able to stop him in the last two domestic tournaments. Up to seventh in the rankings, he will surely be competing for major titles in the coming months. 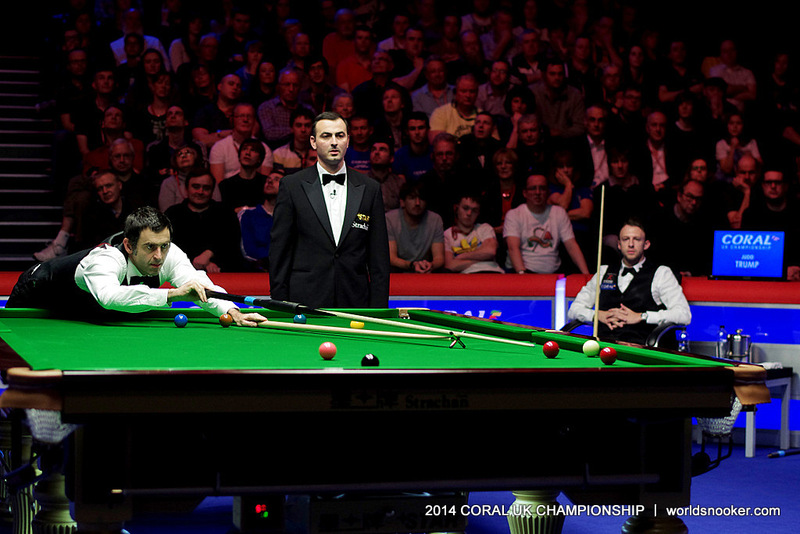 O’Sullivan led 5-3 after the first session with top breaks of 82 and 81. Trump had first chance in the opening frame of the evening session but could only make 48, and O’Sullivan eventually took it with a 53 clearance. The next followed a similar pattern as Trump made 56 before O’Sullivan replied with 36 then cleared from the last red to extend his lead to 7-3. Trump pulled one back but a marvellous 133 total clearance from O’Sullivan left him 8-4 ahead at the mid-session interval. And when the Essex cueman compiled runs of 54 and 35 to take frame 13, victory seemed a formality. Trump’s fight-back began when he took a scrappy 14th frame. Playing with total freedom, he suddenly found his rhythm and fired in breaks of 120, 127 and 86 to close to 9-8. O’Sullivan had a winning chance in the next but ran out of position at 59-0 and Trump cleared with 67 to bring the match to a fitting conclusion. 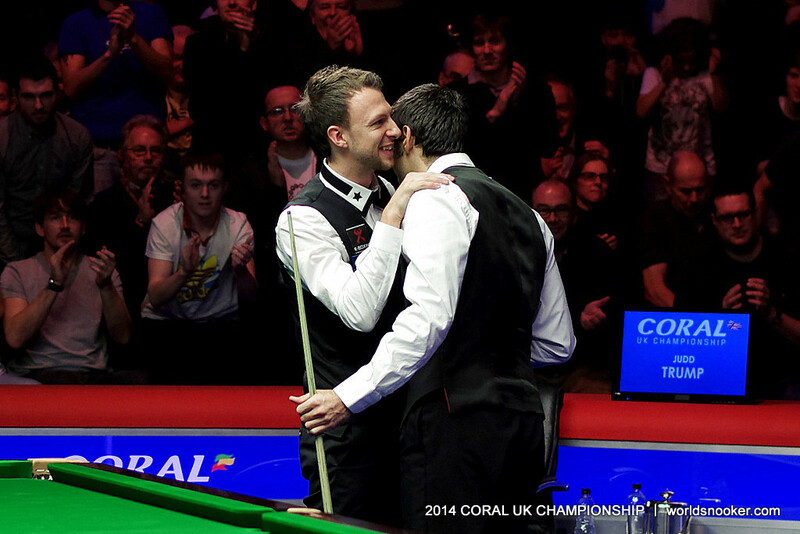 O’Sullivan had first chance in the decider and made 16, then Trump replied with 14. 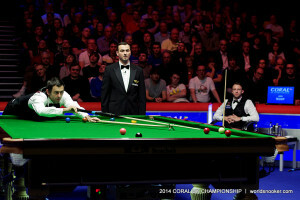 After a safety exchange, O’Sullivan trapped his opponent in a tough snooker behind the green, and from the chance that followed he clinched the title with 51. O’Sullivan said: “I had the upper-hand for most of the match and I just lost a bit of concentration at 5-1. I went off the boil a bit and let him back to 5-3. “From 9-5 up to 9-9, he’s not missed a ball really – he’s just knocked everything in and I didn’t get a chance. At 9-8 I had a good chance but to be honest my mind was just gone, I felt really nervous after having such a big lead because you think if I lose it from there, the disappointment would’ve been unbelievable. “The pressure was just mounting and mounting and it’s difficult to put that out of your mind but in the last frame I managed to get a chance. The balls were nice and I had to just concentrate on hitting solid shots. “It’s just a game of momentum really – I had the early bit of momentum with things going for me and Judd had it towards the end. “Judd is a tough opponent. He’s very dynamic and he’s very explosive. He’s got so much cue power, he can pot like you wouldn’t believe, he’s fearless and that’s difficult because he’s in your face the whole time. Trump, who missed out on his fifth ranking title and second UK crown, said: “I knew I had that form in me but when Ronnie clears up on you every time it is kind of demoralising. I did it to a couple of opponents and it really hurts. “Towards the end I was kind of giving in but then I managed to get to 9-5 and then I got a few chances and made a few breaks and felt good. I made a really good clearance to go 9-9 and then I felt so relaxed going out there. “I’m a bit annoyed that I didn’t really have a chance in the last but I didn’t bottle it and gave it my best.